What kind of a poly-mistress would I be if I didn’t allow my polyhedra to leave with somewhat of a bang? Naturally there was lots of play involved in packing my beloved ‘stars’, but lots of sweat too! I want to thank my new friend and sister-in-arms Azza for helping me out this morning. When you watch the below video, you’ll see that as soon as I clicked the record button I realized what a stupid idea it was for me to film while descending the escalator! Azza and I had to devise a plan for this operation. We did a few test shots of where she should be situated as not to see her head peeping out. I set up the camera on a makeshift tripod (if you look at the ground level you will see that I have a box atop a step ladder atop a table I grabbed from the cafe below). Azza’s job was to lie flat on her belly and roll the polyhedra down the escalator. I clicked the record button and ran up another escalator on the other side of the cafe, crawled to where she was and plopped on the ground to help her. 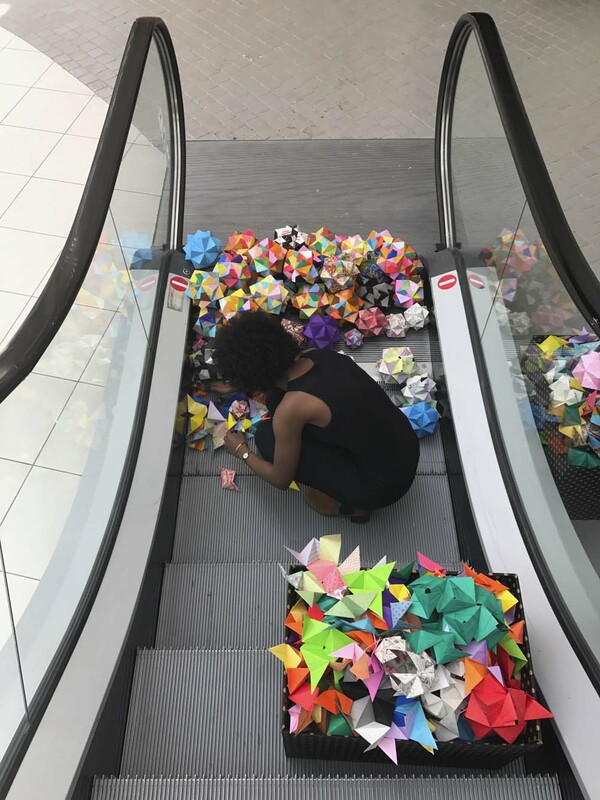 We rolled polyhedra down the escalator for around seven minutes. It was carnage. 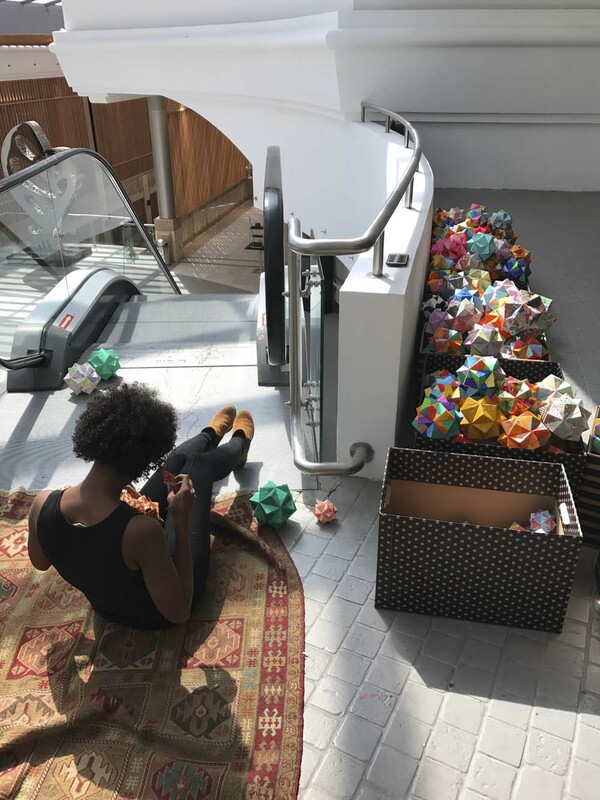 Many polyhedra fell victims to this experiment, but they survived and will be fixed soon. I never liked your polyhedra🍞 Very boring and your an artist NOT a mathematician!! I get sick of them!! I get sick of them too sometimes :) but they ultimately make me happy!